Are You Considering Power Consumption When Replacing Computers? Almost 39% of PCs in the world still run Windows XP. In April 2014, Microsoft will stop providing the updates necessary for Windows XP to continue to function safely. After that, organizations still clinging to XP will only be able to keep their fingers crossed and risk a serious technical crisis. Microsoft is offering upgrade promotions to small and medium businesses running XP that allow them to upgrade at a discount, but migration away from Windows XP is still surprisingly slow. You could reap cost savings and efficiencies that can provide a return on investment and keep overall power consumption under control. What does this have to do with power consumption? Quite a bit, since the hardware required to run Windows 8 is different, either as a stand-alone machine, or in the context of a network. However, replacing your old XP hardware gives you a big opportunity to reduce power consumption. 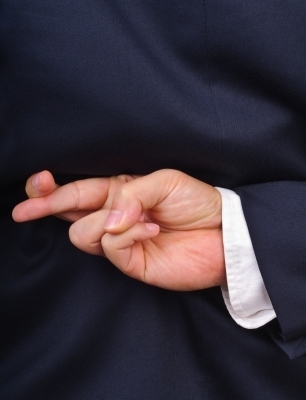 The crossing of fingers only reduces hardware disasters by 3%, and reduces the chances of being caught lying by a mere 0.2%. Does Your Organization Manage Desktop Power Usage? Most companies don’t manage desktop power usage at all, so they may not realize the potential for savings through desktop power management. New machines that run Windows 8 can be more energy efficient while also packing more computing power. Programs may be cloud-based or run off servers. While you may incur the cost of installing new desktops and network infrastructure, end-users can be moved from their old machine to their new ones with minimal impact. Taking power management into account when replacing desktop machines en masse can help your organization reduce its carbon footprint and keep a lid on energy costs. According to The ITAM Review, you can achieve power savings of up to 40% by implementing desktop power management. And considering that energy prices are continuing to increase in most locations, ROI may be even quicker depending on how much you pay per kilowatt hour. For most organizations, implementing desktop power management should consider the opportunity to reduce power consumption as well as the impact of mass replacement of desktop machines on work flow. Today’s desktop power management does not require machines to stay switched on to stay up to date, because powering up, updating, and powering off again can now be done automatically. 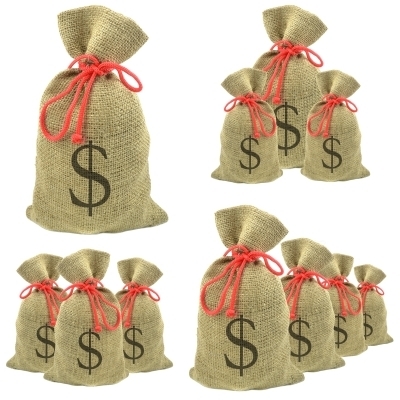 Be sure to factor in the cost of dollar sign bags when estimating capital expenditures. Your up-front costs for replacing aging XP machines with new ones will not only include the costs of initial hardware, but also the costs of getting the new machines up and running. The manpower required will have to do with how large your organization is, and how heterogeneous your hardware ecosystem is. Consider the purchase price of the machines, how much power they require compared to how much existing machines require, and how much in the way of IT resources will be required to carry out a mass replacement. Keep in mind that modern hardware power management can be more easily configured, resulting in significant savings. Once you have these figures, you should be able to calculate your return on investment. Desktop power usage is only one aspect of power management, however. You also need to consider heat. Lower-power machines (that access cloud or network resources, which may have had to be installed on individual older workstations) can help there as well, because they require less in the way of cooling capacity. Some machines even come in passively cooled cases. The bottom line is, if heat and noise are factors in your organization, choosing machines that require less power to run will help with heat and noise abatement as well. In general, you’ll pay a premium for more power-efficient desktop computers, but in many cases, this premium pays for itself in reduced power consumption as long as the machines undergo regular usage and will be kept for at least a couple of years. Return on investment in dollars saved will be more significant the larger your organization and the more heavily used the equipment is. If your organization plans a mass replacement of hardware, whether because of loss of Windows XP support or some other reason, Samanage can help make the transition smoother. With powerful IT asset management and change management features built in, Samanage helps you account for each and every piece of hardware, whether it’s being brought in or retired. Let our cloud IT asset management software help you keep the cost of a major hardware transition under control, while ensuring that no piece of hardware or software remains unaccounted for.